In theory, it sounds like a simple question to answer. However, to capture the essence of a cigar and the sensations and pleasure that generates we need to look into the way it acts in two of our senses: smell and taste. Before developing this further, we have to bear in mind that each of us perceives flavors in a different way. As the proverb says, “every man to his taste”. The same applies for women, of course. Flavor is the consequence of combining three physical elements: the tongue, the sinuses and the palate. Each of them provides nuances and information of what we taste and smell. After being processed by the brain, we conclude if that flavor is to our liking or if it has met the expectations we had. The tongue’s taste buds detect five flavors: sweet, sour, salt, bitter and umami. 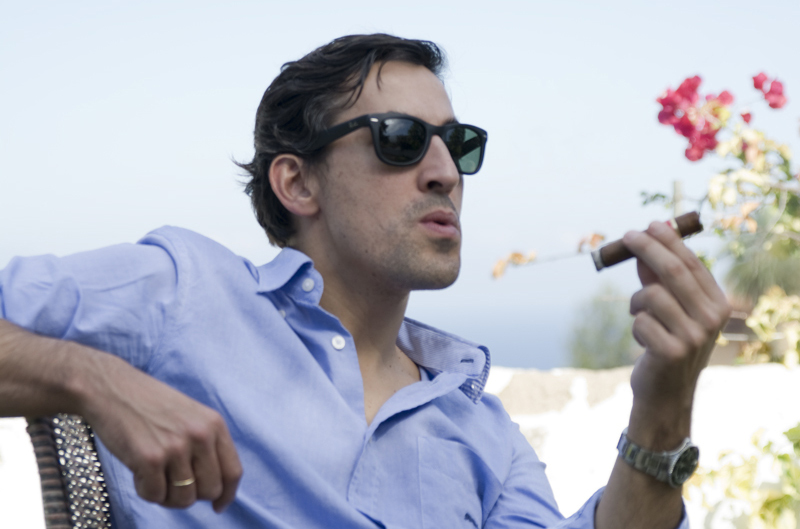 Sweet is the prevailing taste of the cigars from La Palma like KOLUMBUS. The island’s nature and volcanic soil results in floral aromas, with notes of vanilla, rosemary and a reminiscence of red fruits, nutmeg and cedar; flavors found in our tobacco plants which grow in La Palma. The tongue can also distinguish other factors like temperature o dryness, which are also important elements of the tasting. Next up are the sinuses, a group of eight cavities located around the nose which activate our sense of smell. Unlike the tongue, these can detect hundreds of nuances. When talking about flavor, to capture the full personality of a cigar is not enough to just smell it, but we have to bring the smoke up through the sinuses and exhale through the nose. This is the perfect method to experience the cigar’s complexity. Nonetheless, if we have never tried this before is advisable to start with a mild cigar until we fully master this technique. The palate is the third and last element which comes into the picture. This is the area where the aftertaste concentrates after a journey through the tongue and the sinuses. The longer the flavors remain the better. However, we should take into account that some aromas like coffee, cocoa and licorice are more prominent than others. Beautiful and elegant description. Congrats!